Save 30-70% on energy bills depending on your geographic location. The average savings for energy consumed by heating is 44%, and cooling savings average 32% for structures built with ICF walls. 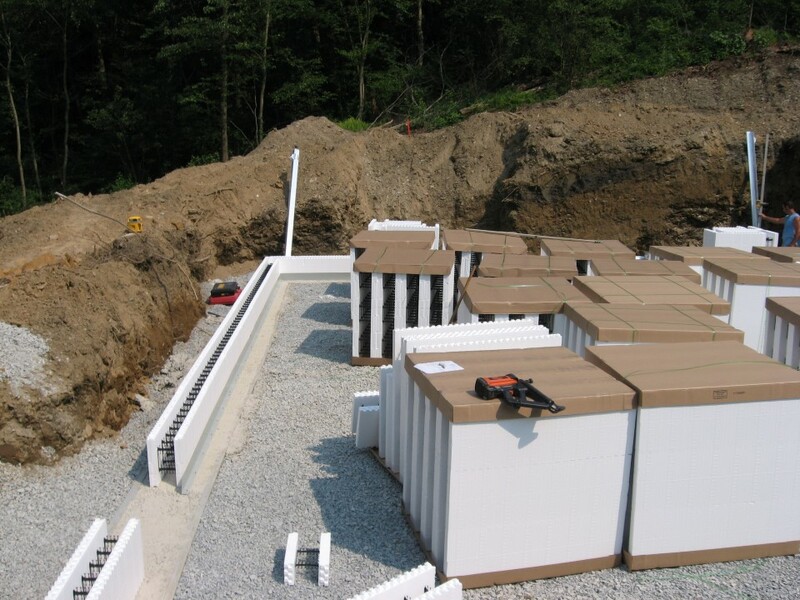 Because of their thermal mass, ICF walls are comparable to a wood frame structure with an R-50 rating. Indoor temperatures remain consistent with only 1-2 degrees of difference from floor to ceiling. 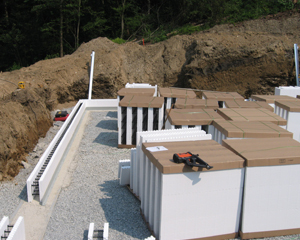 Overall, ICF walls generally perform three times better than traditional forms of construction. ICF walls are solid. Only one-sixth of common outdoor noise (such as barking dogs, lawn mowers, traffic, etc.) passes through the walls, leaving you with tranquil inside space. Because of the solid material in the walls there is no worry about rotting, decaying or insect infestation. Even years after construction little maintenance is required to keep it like new because concrete does not rust or corrode, saving you money and time that you can invest elsewhere. Healthy and Safe - For folks with asthma and allergy problems. An ICF structure is the answer. ICF forms don't contain the harmful chemicals such as formaldehydes, hydro chlorofluorocarbons (HCFC's) and chlorofluorocarbon (CFC). There's many materials that are considered green and were developed to save energy, emissions, environment, and healthier indoor air quality. ICF's exceed all these things and takes green building to the next level by reducing maintenance. ICF's aren't constructed with wood therefore eliminating mold, rot and pest issues. By using this sustainable green technology with superior strength offers a safe home for you and your family in a severe storm and a 2-3 hour fire rating in the event of a fire. ICF wall construction, a 3 in 1 step process that gives you a poured in place reinforced concrete wall with two layers of EPS insulation that is ready to be finished on the interior and exterior of your next structure. 1-2 billion metric tons of carbon is dispersed into the atmosphere yearly due to the deforestation around the globe. ICF is a great way to protect ourselves by reducing the amount of trees needed in the construction industry (every ICF home saves a few trees). Carbon monoxide is absorbed by trees to give oxygen to us. Let's do our part in saving the environment! When you choose ICF there is unprecedented peace of mind knowing that your family and belongings are safe in a healthy, mold-resistant environment, breathing filtered, dust-free air, and protected from harsh weather elements. You will love the fact that building with sustainable, green technologies allows for consistent room temperatures, making your home warmer in the winter and cooler in the summer. ICF also provides an excellent sound barrier, making your home quiet. Lastly, you will find satisfaction in the reduction of your energy bills.